1. Answer the hopes and dreams you wrote in your New Years post last January. Did you have a New Year's post last year? What did you say? Go back to that post (and link to it) and answer it. Did you accomplish what you set out to do? Did the advice you gave ring true? How are you, or your site or business, different now than you were then? What has changed for the better this year? 2. 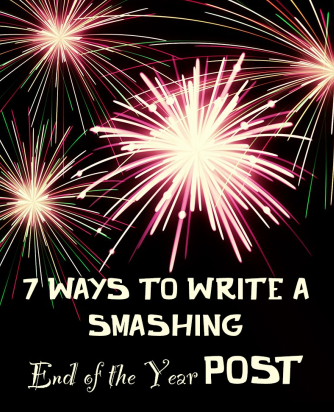 Do a round up of the most popular posts from your blog this year. 3. Do a round up of the most popular posts from your blog of all time. The end of the year is a great time to bring old content to the forefront. Why not share some of your most popular of all time? Just be sure that they are freshened up with a great pinnable image and any affiliate links up to date. 4. Highlight your most favorite posts of the year. What posts did you most enjoy writing this year? Or which ones most defined your year? Invite your readers back inside and share those posts from the heart one more time. 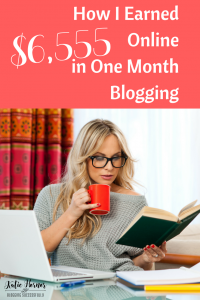 One of my favorites this year was our post about how we DO earn money blogging. 5. Highlight either a favorite or a most popular post from each month this year. If you'd like more of a year-in-review style, choose your favorite, or the most trafficked post from each month. Be sure to summarize it, giving a great reason to click through and read the post, and as was the case in point #4, make sure it's freshened up and all links working. 6. Summarize the posts you don't want them to miss from this year. Aside from your favorite or your readers' favorites, there may be a few posts that you consider extremely important. If someone could only read 3 or 5 of your posts, which ones would improve their life? Which ones are absolute must-reads? Summarize them and give a link. 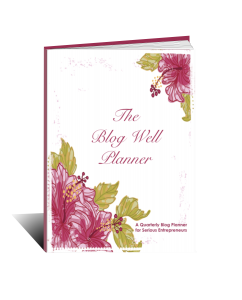 One of ours is How hiring a Business Coach Changed my Blogging Career, and another from this year was our introduction to the new quarterly Blog Well Planner™. 7. Share some of the best posts from other bloggers in your niche. You may also want to share the best posts from some of your contemporaries from this year. Sharing great posts by others in your niche that are also relevant to your audience is a great way to build trust, and authority in your area of expertise. Share a short summary of why the post is relevant (i.e. why your reader should go read it) and link to their post, just be sure to get permission first if you plan to include an image from the other blogger's post. There is nothing saying you can only have one end of the year post either. You may choose to just to one, but you may want to do several different kinds. If you are a business, you may want to summarize the products you produced this year and why your audience needs them. Include the links to purchase right in the post. Don't forget to include an image for each post as images often act as click magnets, compelling readers to click through and read what they might have otherwise skipped. And, as with every post you write, be sure to give a clear call to action at the end. What do you want them to do now? New Years is an especially good time to invite readers to join your list. If you found this article helpful, I invite you to join our email community, so that you never miss a post as we enhance your chances for success in blogging and online business in the New Year. Click here and you can choose a welcome gift of your choice!